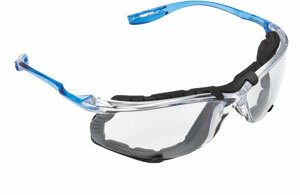 Virtua CCS Protective Eyewear with Foam Gasket features a comfortable seal that helps limit eye exposure to nuisance dust while providing additional cushioning. The anti-fog lens coating and removable foam-lined gasket is ideal for humid environments. 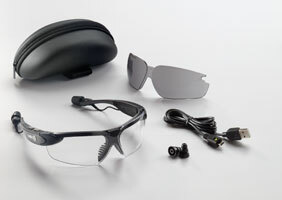 Virtua CCS Protective Eyewear includes the Corded Earplug Control System to help keep eyewear and earplugs attached, untangled and ready to use. 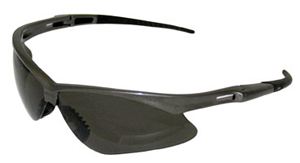 Crossfire Safety Readers offer a polished style and great fit. The eyewear’s sleek framework provides substantial coverage for a variety of environments. Crossfire Safety Readers meet all of the ANSI Z87 2010 standards and are available in 1.5, 2.0 and 2.5 diopters. The ES5 Reader (pictured) is available in Smoke or HD Brown lens. Uvex AcoustiMaxx Stereo Bluetooth eyewear features a wraparound lens design and meets the ANSI-Z87.1-2010 standard for impact protection. In addition, it allows communication with cell phones, smartphones and any other Bluetooth-enabled voice communication product. Dual-microphone technology reduces ambient noise pick-up, while a high-performance balanced armature driver delivers superior stereo sound. Jackson Safety Nemesis Polarized Safety Eyewear features a specialty lens that reduces the oriented light that causes glare, allowing the wearer to see fine details and deep colors without eyestrain, eye stress or fatigue. An adjustable nosepiece and soft, padded temples provide a comfortable, non-slip fit with wraparound protection. 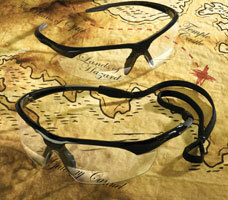 The ForceFlex line of safety eyewear includes glasses and goggle styles. ForceFlex 3 safety glasses feature sports hybrid temples that flex from bayonet to spatula styling. These glasses are lighter, more comfortable and even more flexible than before. The ForceFlex Goggle meets or exceeds ANSI Z87+ standards and has a tight seal that protects against dust, debris and chemical splashes. Fuselage Protective Eyewear features interchangeable temples; a headband that provides the proper protection for the job at hand; and flame-resistant, soft-foam padding that forms a seal to keep out dust and airborne particles. The temples and strap snap in and out and easily convert from safety glasses to dust goggles and back. The eyewear also has a FogLess lens coating. 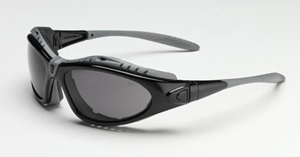 Black Ops WX Saint is an Rx-ready addition to the Wiley X Changeable Series of protective glasses. The WX Saint meets ANSI Z87.1-2003 High Velocity and High Mass Impact Safety Standards for certified Occupational Eye Protection. The glasses feature a unique half-frame designed to be lightweight and comfortable – providing sharp vision and protection. Conqueror MAG safety glasses are sleek, stylish bifocal eye protection that meets the needs of employees who work with small print or perform other detailed tasks. Bifocal safety eyewear eliminates the need for workers to switch between regular safety glasses and reading glasses – a dangerous maneuver that can result in eye injuries.